BB admins can now assign specific permissions to individual workers and crews. Now users can be given permissions a la carte style. Now, individuals can not only clock in and out, they can also edit or delete existing timesheet entries for themselves, and even for others! These settings can also be applied to entire crews, giving one individual worker the ability to edit and delete timesheet entries for anyone in their crew. 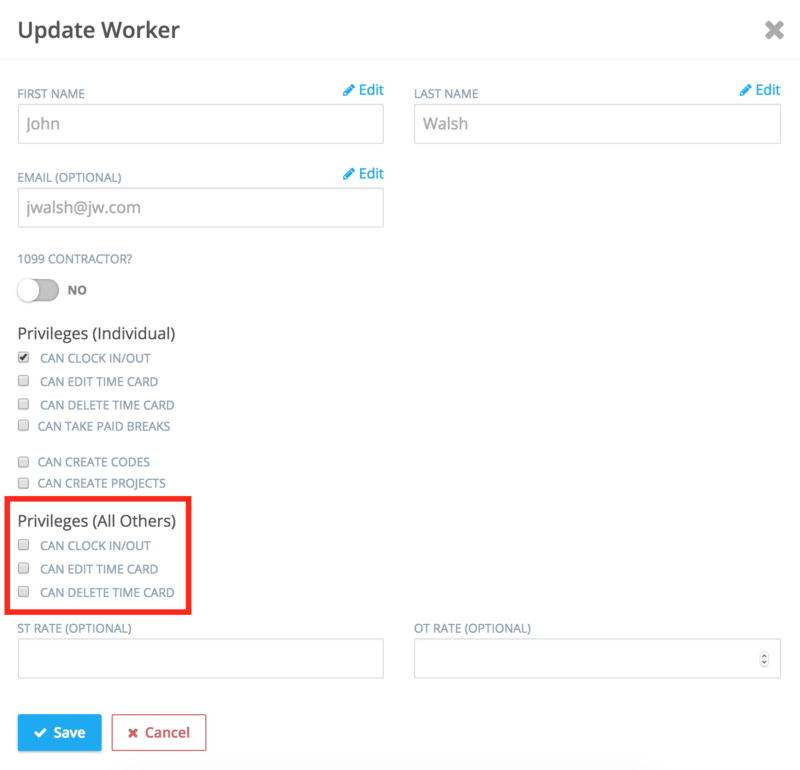 To make these changes, BB admins simply select an employee on the “Workers” page. From there, you can toggle which individual permissions you’d like the user to have. If you want to apply these settings on a crew level, simply open the “Crews” tab and open the crew in question.